Rhossili is a small village and community on the southwestern tip of the Gower Peninsula. This was the first designated Area of Outstanding Natural Beauty in the United Kingdom. There are of course many such areas now, but for Rhossili to be the first is indicative of its importance. 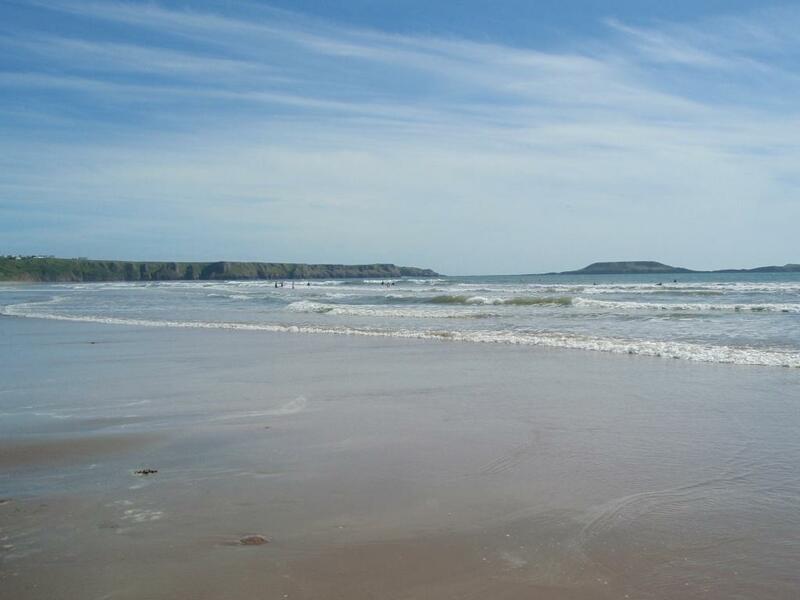 However I personally prefer Oxwich Bay for a more manageable size. Rhossili is such a huge beach, though I do like the Bay at the opposite end to the town of Rhosilli. There is a pub at Rhosilli which overlooks the Bay. Sadly I can no longer drink real ale etc, for health reasons, but if I could, I would have a swift pint at the Pub, then walk it off on the beach.